A Christian apologist of the second half of the second century of whom no more is known than that he was an Athenian philosopher and a convert to Christianity. Of his writings there have been preserved but two genuine pieces—his „Apology“ or „Embassy for the Christians“ and a „Treatise on the Resurrection“. Both treatises are included here. The Sacred Writings of AthenagorasFormat: Paperback. 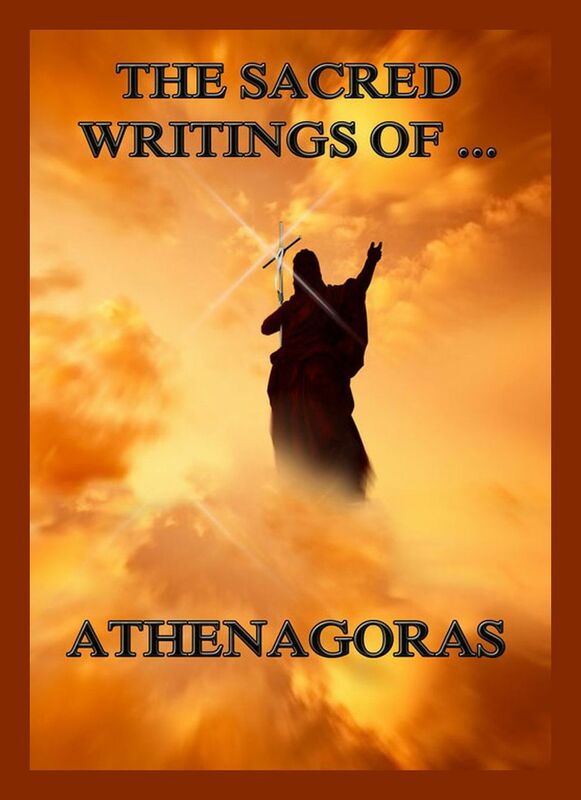 The Sacred Writings of Athenagoras. The Embassy for the Christians, the date of which is fixed by internal evidence as late in 176 or 177, was a carefully written plea for justice to the Christians made by a philosopher, on philosophical grounds, to the Emperors Marcus Aurelius and his son Commodus, whom he flatters as conquerors, „but above all, philosophers“. He first complains of the illogical and unjust discrimination against the Christians and of the calumnies they suffer, and then meets the charge of atheism (a major complaint directed at the Christians of the day was that by disbelieving in the Roman gods, they were showing themselves to be atheists). He establishes the principle of monotheism, citing pagan poets and philosophers in support of the very doctrines for which Christians are condemned, and argues for the superiority of the Christian belief in God to that of pagans. This first strongly-reasoned argument for the unity of God in Christian literature is supplemented by an able exposition of the Trinity. Assuming then the defensive, he justifies the Christian abstention from worship of the national deities by arguing that it is absurd and indecent, quoting at length the pagan poets and philosophers in support of his contention. Finally, he meets the charges of immorality by exposing the Christian ideal of purity, even in thought, and the inviolable sanctity of the marriage bond. In refuting the charge of cannibalism Athenagoras states that Christians detest all cruelty and murder, refusing to attend contests of gladiators and wild beasts and holding that women who use drugs to bring on abortion commit murder for which they will have to give an account to God. The treatise on the Resurrection of the Dead, the first complete exposition of the doctrine in Christian literature, was written later than the Apology, to which it may be considered as an appendix. The writer brings to the defence of the doctrine the best that contemporary philosophy could adduce. After meeting the objections common to his time, he seeks to prove the possibility of a resurrection in view either of the power of the Creator, or of the nature of our bodies. To exercise such powers is neither unworthy of God nor unjust to other creatures. He argues that the nature and end of man demand a perpetuation of the life of body and soul. There are reasons to think that De resurrectioneis not by Athenagoras but by some 4th-century author, e.g. the use of at least one term (ἀγαλματοφορέω) coined by Philo of Alexandria and not widely known before the time of Origen. The Sacred Writings of Pope Clement I.
Dieser Beitrag wurde unter Church History, The Sacred Books (English), The Sacred Writings veröffentlicht. Setze ein Lesezeichen auf den Permalink.